Oman Travel: Best destinations, prices, flights, advisories, and more. Nestled amidst the wealthy and sometimes ostentatious cities of the Gulf is a country that offers the same elegance without losing sight of what makes the region special. Here in Oman, the traditional and modern meet in a graceful dance that is as seamless as it is inviting. Oman is located in the southeastern part of the Arabian Peninsula (part of the Middle East in Asia). It borders the UAE to the northwest, Saudi Arabia to the west, and Yemen to the southwest. The country also enjoys a long coastline along the Arabian Sea and Gulf of Oman. September to March is considered peak season, with more pleasant temperatures (even getting a little cool at night) than the searing summer. This is also right after monsoon season in the south so you’ll miss most of the rain. April to August can be extremely hot and is considered ‘off season’ but is still a good time to visit as long as you are alright with the temperature (though you should avoid the month of Ramadan since a lot of businesses will be closed). How do I get around Oman? Buses are reliable and safe when it comes to getting from city to city, though beyond this you’ll need to look into other options. Driving yourself is also a viable option, especially if you plan on venturing off the beaten path (i.e. out of the cities) a little. Arabic is Oman’s official language, though many people understand and speak English throughout the country (especially in the cities). Street signs will be in both Arabic and English depending on where you are. Where should I go in Oman? Translated as ‘safe anchorage’, Oman’s capital city is a magical place – effortlessly mixing traditional culture, maritime history, and the modern developments of the last decade. There’s an understated glamour to the cultural centres and spotless white residences, reflecting newfound wealth without the over-the-top nature of Dubai or other nearby oil-rich emirates.. Muscat is a great place to start your Omani journey, with the sea and mountains that surround it begging to be explored once you’ve had your fill of urban life. Located on Oman’s south coast is the city of Salalah – and it is a world away the larger Muscat. While the differences run deeper, the first thing you’re likely to notice is the weather, which in Salalah is a lush, tropical, and reminiscent of parts of East Africa (particularly the island of Zanzibar, which Oman has a long connection with). While you might have to contend with monsoon season, this city is a perfect opportunity to experience a different side of city living in Oman. Once again we’ve found ourselves on the seaside, but this time to the east. The city of Sur makes great use of its ideal location, with sunny beaches, a deeply ingrained maritime culture (including dhow building), and multiple (suitably dramatic) forts overlooking proceedings. While Sur stands on its own merits, it’s also a great stopover for those looking to head out into the vast deserts of Oman by way of Muscat. Oman is chock full of stunning landscapes, from sprawling coasts to towering and ragged mountains. Of course, as with much of Arabia, it’s the deserts that are among the most memorable. In Oman’s case, the Sharqiya Sands (also known as the Wahiba Sands) are the crown jewel. The dunes stretch out as far as the eye can see, and while it may not offer variety it remains a stunning sight. Bedouin culture is also alive and well, with the people who make their home in the Sharqiya Sands seemingly a world away from the bustle of Muscat. If you can find a guide we recommend a night at one of the desert camps, as there are few experiences more fulfilling than camping under the starry sky of the desert. Stretching slightly into the UAE, the Hajar Mountains are one of the most impressive natural sights in the entire Middle East. Covering most of northern Oman, it can be tough to figure out where exactly to go for the best vistas and hiking – but that’s why we’re here. Jebel Shams (the highest mountain in the country) offers up great views of Wadi Ghul (a canyon that is deserving of its comparisons to a little one out in Arizona). You can explore the region with a 4WD vehicle if you really want to see as much as possible. 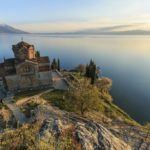 There are also scattered towns and forts throughout the area as well, serving as convenient stopovers amongst the rugged peaks. To the north, separated from the rest of Oman, is the Musandam Peninsula. A fairly small spit of land jutting out into the Strait of Hormuz, the peninsula looks over a strategically important waterway. Luckily, it isn’t just a boon to the government but is also a great place for travellers! Musandam is renowned for its beautiful rocky inlets (even being likened to the fjords of Norway), while the mountain roads and isolated nature make this as unique as it is impressive. It’s a bit of a side trip, but you’ll find that it’s worth it! A round trip flight between Toronto and Muscat starts at around $1200 Canadian. There are other options when it comes to flying into Oman, but the capital is your best and most affordable bet for the most part. Unfortunately, Oman is not one of the cheapest countries to visit (similar to some of the nearby Middle Eastern locations). On a mid range budget, accommodation can come in at about US$200, while hiring a car (the best way to get around) can end up being about US$40 a day. If you want to drink beer or other alcohol, that’ll be pricey too. Luckily, food is pretty cheap and you can keep costs down if you stay in the cheapest hotels. Overall though, Oman is a fairly expensive country. While there is no nationwide advisory for Oman according to the Canadian government, a high degree of caution is recommended throughout due to the threat of localized terrorism and demonstrations (especially near the Yemeni border). 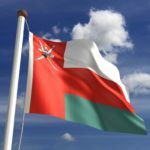 Though the country has been threatened, there have been no terrorist attacks in Oman – but you should still remain vigilant. Avoid any and all demonstrations, as they could turn violent. Beyond this, the crime rate is pretty low but you should still be careful. If you plan on driving, you should be cautions in rural areas. You should also read up on the local customs and what is and isn’t permitted. Public displays of affection (even hand holding) should be avoided, while common-law relationships, homosexuality, and adultery are all illegal and severely punished. Drugs are illegal and public drunkenness is frowned upon. Criticizing the government is also not allowed. Make sure you know what is and isn’t permitted before travelling here. For much more in-depth information, check out the Canadian Travel Advisory for Oman. You can learn more about Omani history and culture in the Country Profile as well as its currency with our Spotlight.